Do you want to save money and benefit from some great offers? Well, Notcutts, here at Newnham Court Shopping Village, has an exclusive Privilege Club for its customers. It costs just £10 a year to join and comes with a whole host of benefits. Joining the Privilege Club couldn’t be easier. 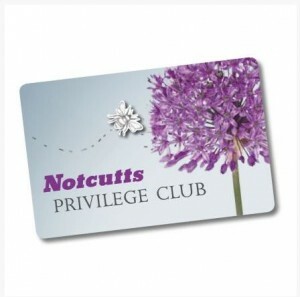 Just sign up in store, or online at notcutts.co.uk. Once you’ve signed up, you will receive your welcome pack with your membership card and exclusive goodies. Another new shop is coming to Newnham Court Shopping Village. Pavers Shoes, which is now one of the UK’s leading comfort-shoe retailers. The business has its roots firmly in Yorkshire but has dozens of stores across the UK and now one right here in Maidstone. Keep a lookout here for the date when it opens. In the meantime, enjoy a day here. We’ve got a new store at Newnham Court Shopping Village! 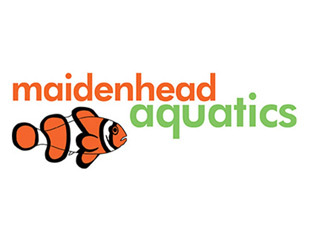 Come in and visit Maidenhead Aquatics and see some of the sea life you could be looking at in your own home. Come in and meet the team: Andy, Kyley and Ben, who can give you any information you need about owning your own aquarium. It’s open now but watch out for details of its official opening happening at the end of the month. While you are at the village why not browse around our other shops and then take a break with a cup of tea. Do you need anything for the garden? Flowers, gardening equipment, summer house, shed? What about some new summer clothes, homewares, or you may be looking to make home improvements. We’ve got it all here at Newnham Court Shopping Village http://bit.ly/2GO2pbR It’s a great place to visit over the Bank Holiday weekend. To book call now on 01622 738774. Get down to Notcutts Garden Centre at Newnham Court Shopping Village this Bank Holiday weekend. 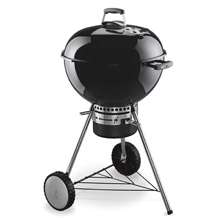 There’s 25% off selected garden furniture and BBQs – so get ready for the summer… before they’re all gone! While you’re here, check out all the other shops in the village. You really could spend ALL day here. FREE parking, too. May is magic with PKC’s super festival of late-spring fun. As usual we’ve packed trips, themed days and activities into a wonderful week filled four days for under and over 8’s with a mixture of familiar favourites and new experiences. Highlights include our trips – Mr Mulligan’s Dino Golf at Tonbridge (Under 8’s Wed 30th May) – and Jump in Trampoline Park (Over 8’s 29th May). There are loads more thrills games including a day devoted to inflatable games for both groups on 31st May and a finale with a Hawaiin theme as summer finally arrives on 1st June. As always, you can book directly with PKC at Newnham Court and all places go on a first-come, first-served basis. For a limited time only we are offering our most popular model The ‘Garda’ (4.2m x 3.2m, 44mm, Double Glazed) FULLY INSTALLED on our Gold Package for just £4,995! This offer is only available in-store! Other packages are available, speak to a cabin specialist in-store for more details. Quick! There’s another 20% off a range of homeware products at Julian Charles including curtains, mattress protectors and beautiful bedding. Take a peek at what the store has to offer. If you love their ‘Paisley’ range of bedding (available in natural and white) well, that’s in the sale, too. So, don’t miss it. Just think about that lovely new duvet cover flapping around on the washing line. Now that really says it’s spring! Always love breathing in the scent of bedding dried outside? There’s nothing better. Tell us what smells make you realise spring is here. Post below.